Centrally located, our spacious lodging in Lake Geneva, Wisconsin offers a convenient location complete with a comfortable setting. Designed to facilitate our business and leisurely guests, our suites offer both a suitable working environment, yet a relaxing and rejuvenating atmosphere. 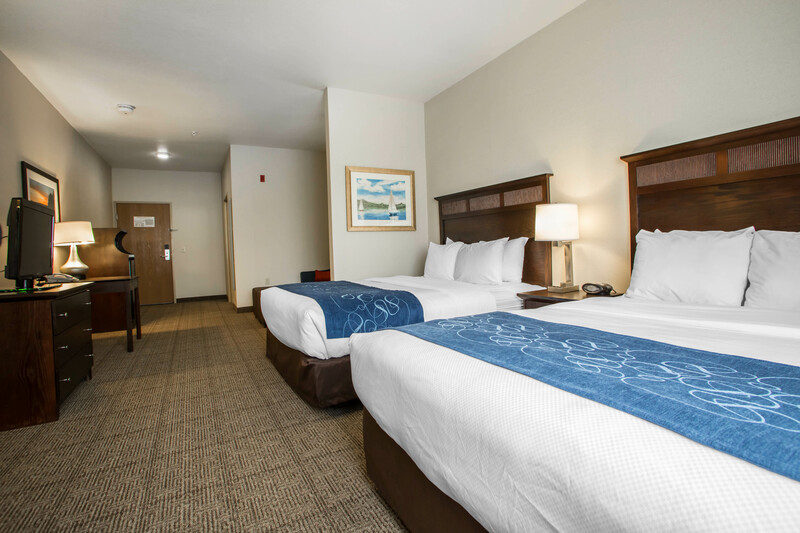 Make yourself at home in one of the 80 air-conditioned rooms. Each suite is furnished with spacious beds and plush linens, and features a sofa bed, microwave, refrigerator, desk, recharge device, coffee maker, hair dryer, iron and ironing board, and a flat panel TV with pay-per-view movies, CNN, and Sports Channel. 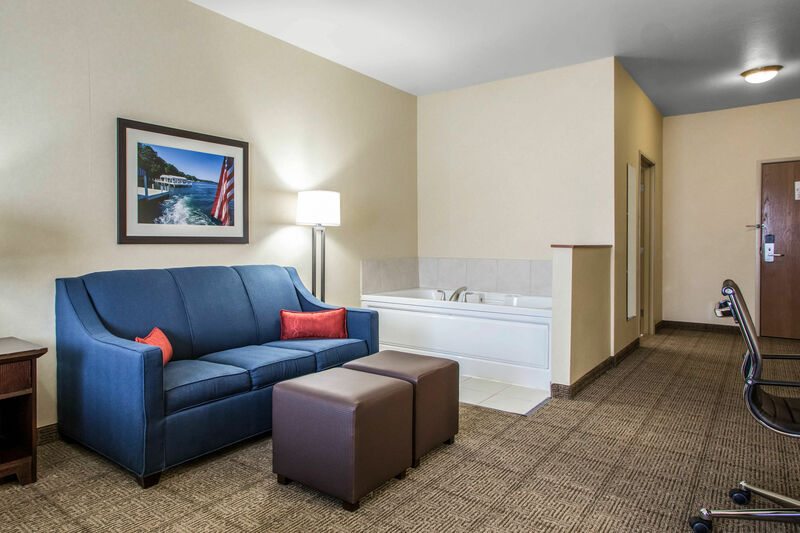 Perfect for singles, couples, and families, our hotel suites in Lake Geneva, WI offers a welcoming and enjoyable working and vacationing experience. 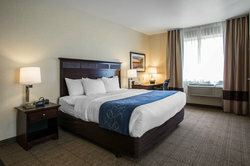 Our 1 King Bed Suite is perfect for those traveling on business. 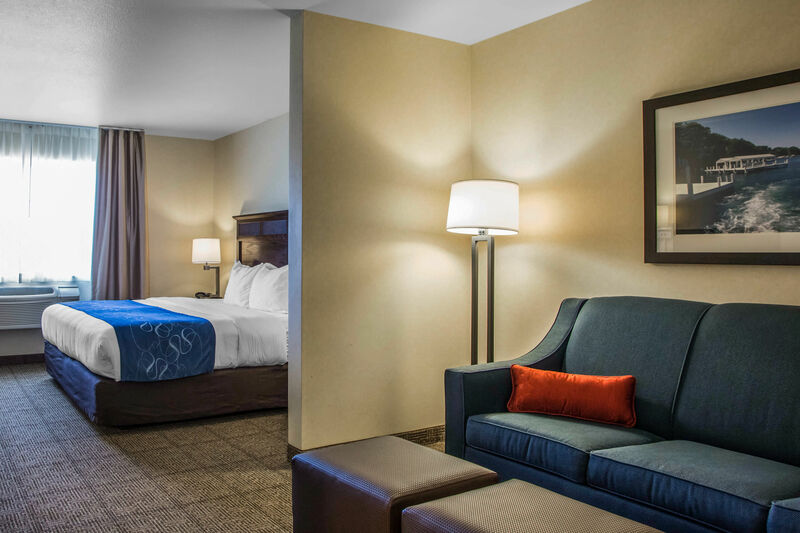 Guests can stay connected with our in-room high-speed internet, free local calls, and wake-up service. Our 2 Queen Bed Suite offers more space designed for larger groups on vacation.To create a group block please see our Meeting & Events page. After a good night’s rest, enjoy a complimentary deluxe breakfast in our dining area. Take a dip in our newly renovated indoor pool and hot tub, or keep up with your morning exercise routine at our 24/7 fitness center. Guests can grab a cup of coffee, tea or hot chocolate from our Coffee Station located in the lobby before heading to our on-site business center to catch up with work. Our hotel marketplace is also filled with a variety of convenient grab and go items for guests on the go. Please note that 1 parking spot is guaranteed per room. However, parking passes are issued during busier weekend periods. Book your lodgings in Lake Geneva, Wisconsin today! And enjoy all that Comfort Suites has to offer. 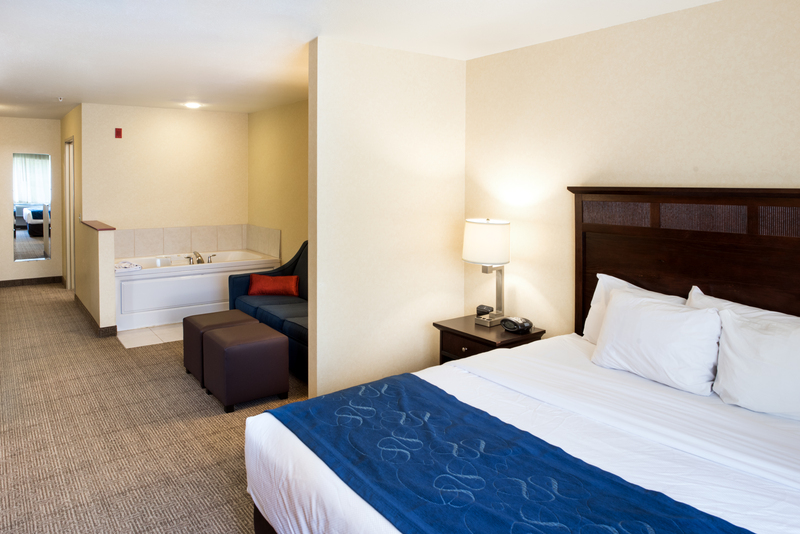 Our 1 King Bed Suite is perfect for those traveling on business or vacationing. Guests can stay connected with free high-speed Internet, recharging room devices, free local calls, and wake-up service. An additional pull out sofa bed, flat screen TV, with both CNN and the Sports Channel are also available. Our 2 Queen Bed Suite is perfect for small groups or for those travelling with the entire family. With an additional pull out 2 person sofa bed, microwave, refrigerator, hair dryer, iron and ironing board guests have everything they will need to rest easy. Guests can also have a night in and watch movies on a flat panel TV, with the option of Pay-For-View Movies. 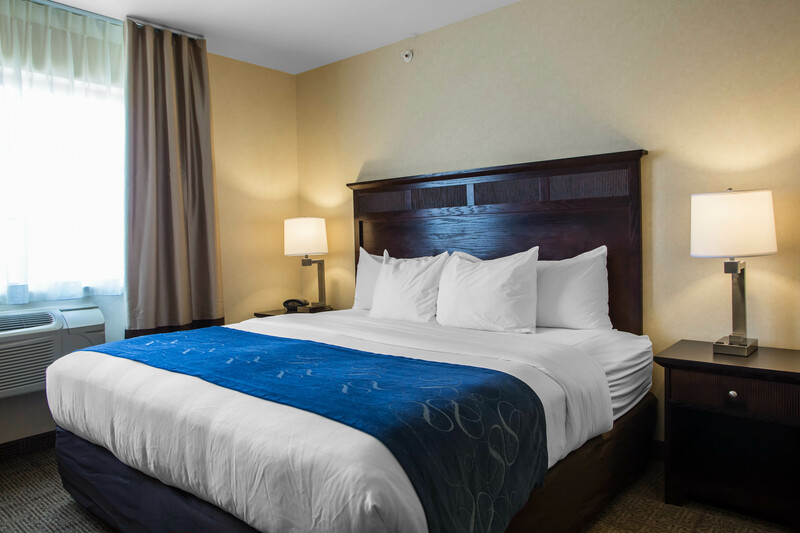 Our 1 King Bed Accessible Suite offers guests a spacious atmosphere with room amenities such as a microwave, refrigerator, hair dryer, iron, and ironing board. For those visiting on business, free Wi-Fi, free local calls, recharge devices, and a wake-up service are also available. Our Jacuzzi Suite is perfect for couples or the entire family featuring 1 king bed, 2 person tub, and pull out sofa sleeper. Guests can also enjoy additional amenities including, a flat panel TV, free Wi-Fi, free local calls, and high-speed internet.